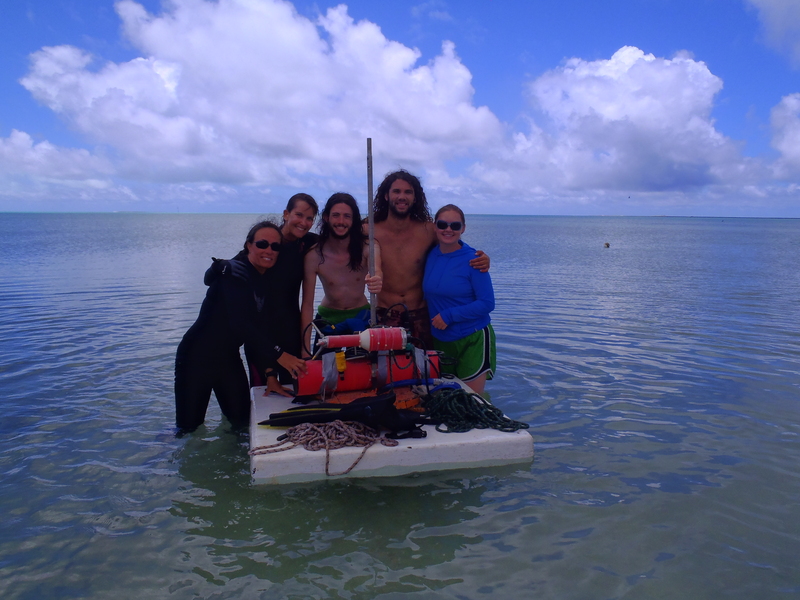 I spent the last week on One Tree Island Research Station. A little paradise on Earth. We were a team of five including myself, Steph Duce, Allison Phillips, Tommy Fellowes and Tom Donaldson-Browne. 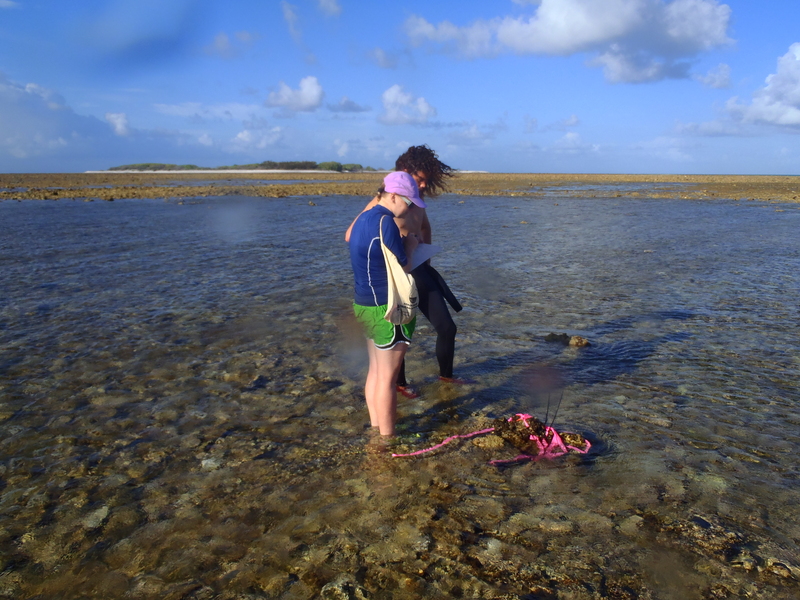 Over the last few years we have focused on the southern sand apron of One Tree Reef, and this time, we focused on the smaller but more energetic eastern sand apron. 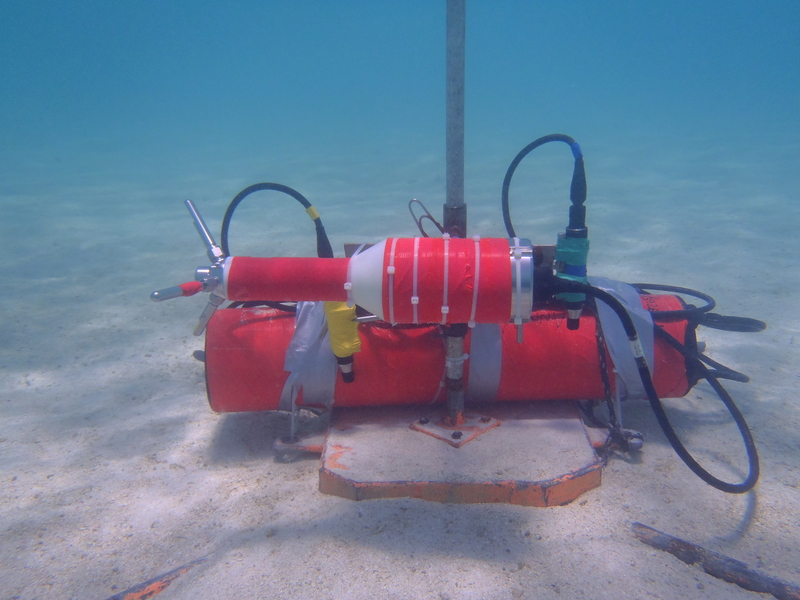 We deployed currentmeters and pressure transducers (PTs) to measure currents and waves. 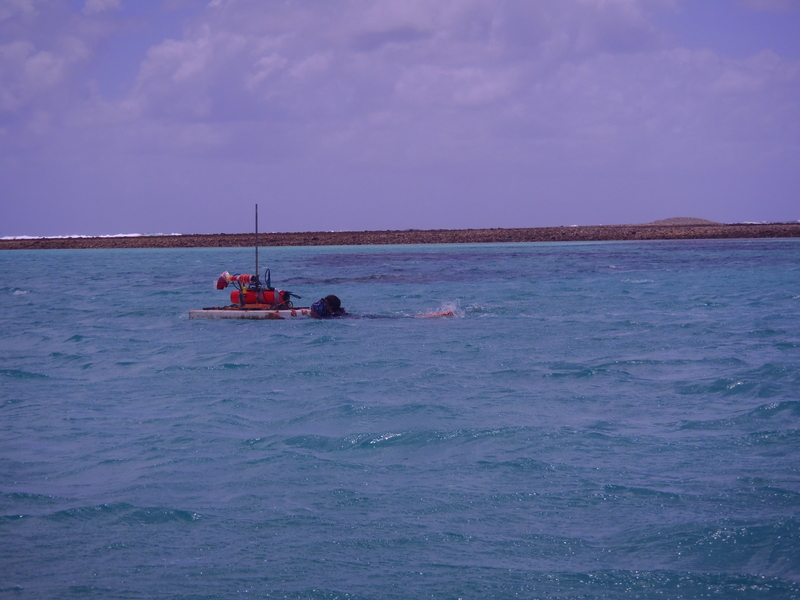 The most challenging was deploying one of our hydras on a single pod using small boats. It is a heavy but delicate instrument and, once all set in the pod it is very awkward to move. After many deliberations, and a bit of inspiration from Glen Shaw (our current manager), we decided to float the Hydra and swim with it to the deployment location. 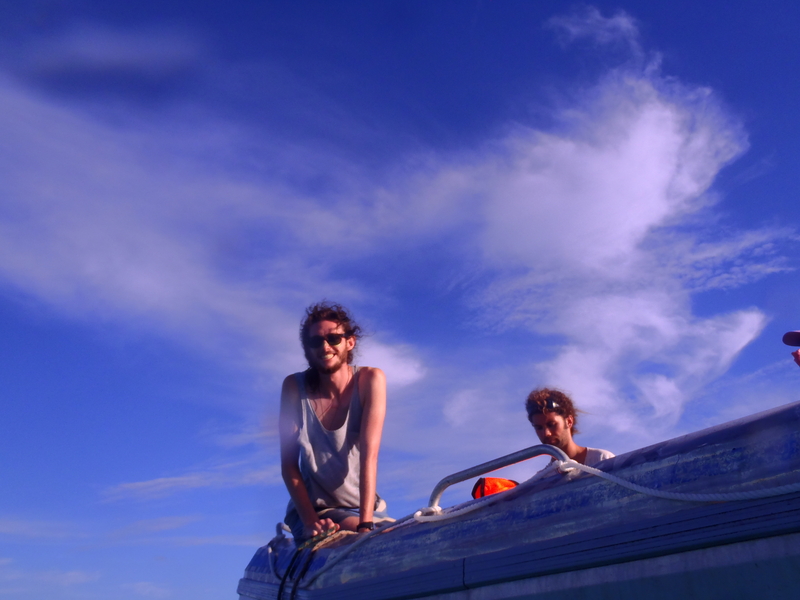 We then lowered it into place using a small boat (RV Seabreeze) and ropes. It was quite an experience and we grew so attached to the Hydra that we renamed her Helen. 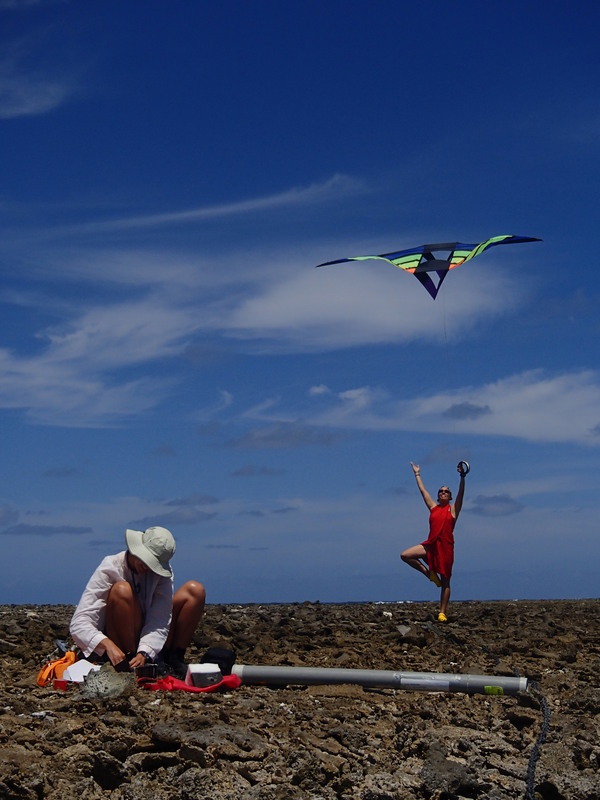 The rest of the time was spent, servicing PTs, collecting sediments, measuring hydrodynamics on the Spur and Groove and doing topographic and kiting surveys of the rubble islands. The entire team put an amazing effort and everyone worked really hard but kept the good spirits and humour. The pirate theme was just a natural evolution while boating around. The most used word was definitely YAAAARRDDDD! We had lots of fun and got some really good data. 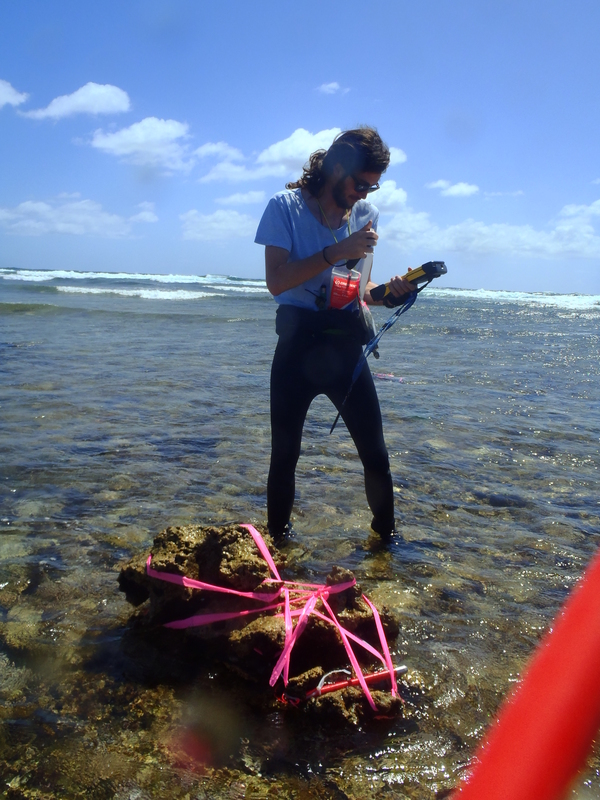 The data is going to allow us to establish the hydrodynamic differences between both aprons and to hopefully begin to understand the reason why sand doesn’t move as much as rubble on One Tree Island. 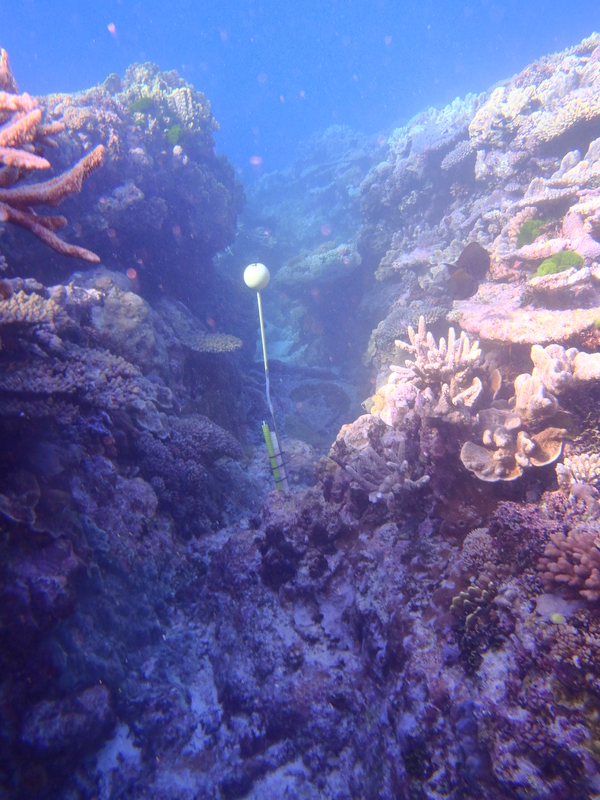 Instrument recovery was also a success, with all instruments delivering very good-looking data. We also worked hard in the kitchen, happy people need full stomachs and we always endeavour to have good food on the table. We had a lot of food. And definitely too many cucumbers! Sunset watching is part of the daily ritual and Steph managed to convert us all to be Green Flash believers, we all saw it!! The deployments on the spur and groove were also smooth. Currentmeters and PTs were deployed on the grooves and the data, which is essential for Steph’s PhD, will allow us to understand the function of Spur and Groove. 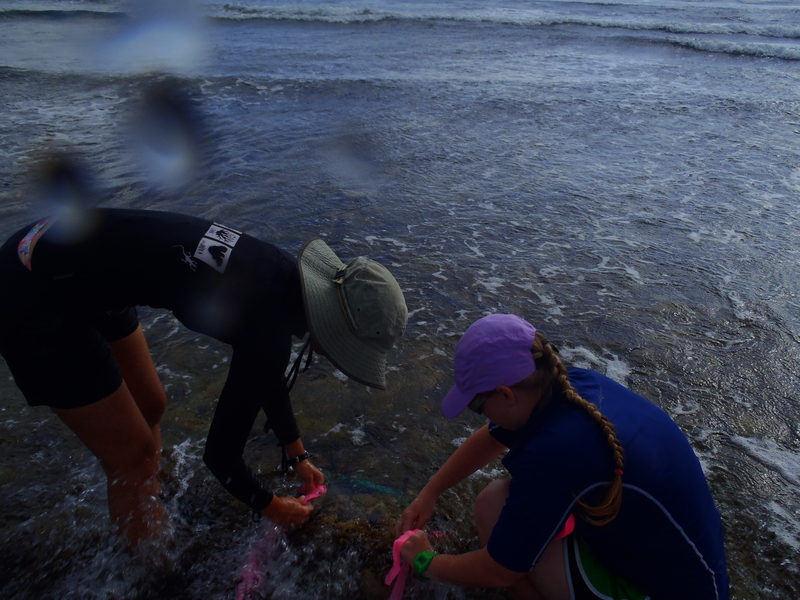 We also managed to do a bit of snorkelling around and it was truly amazing! So, overall, a very successful campaign where we did some pirate science with Helen the Hydra and on the groovy grooves. One Tree Island remains a magical place and we feel lucky to have been there!